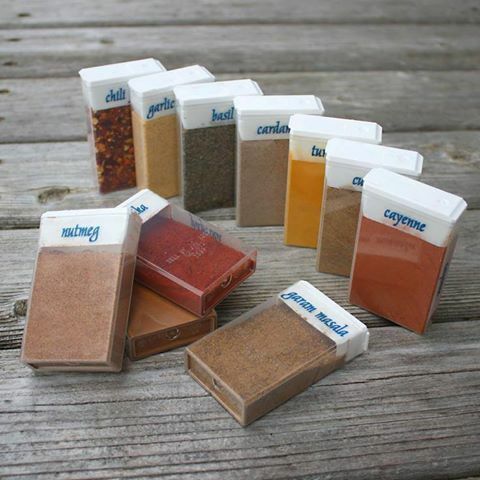 I’ve been using old prescription bottles, and plastic gum containers as travel and camping spice containers for years. But I never thought of this. It’s a great idea. These would be small enough to take in your bug-out bag, instead of big bottles of spices. Takes up way less space. Great for hikers, campers, and RVs too. This entry was posted in Year Zero Survival Blog and tagged bug out bag, bug-out, bugout, bugout bag, camping, fishing, green, hiking, outdoors, re-purpose, recycle, repurpose, reuse, spices by guest-blogger-omegaman. Bookmark the permalink.